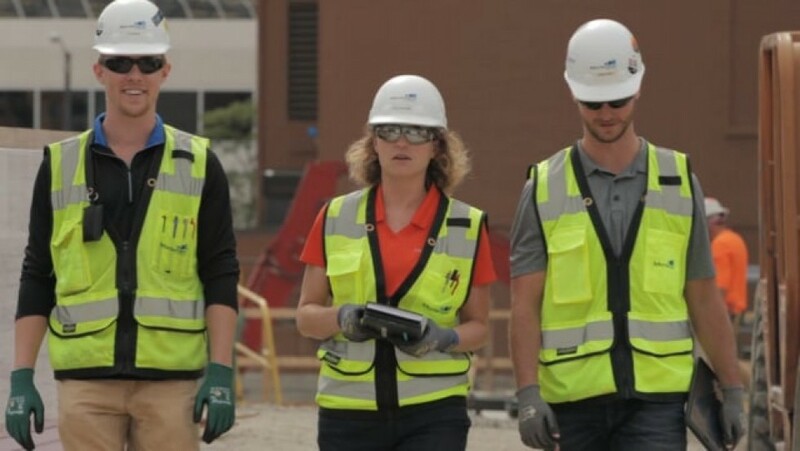 Building on its strong history of industry partnerships in a unique and impactful way. At MSOE, we have a different way of thinking, acting and existing. 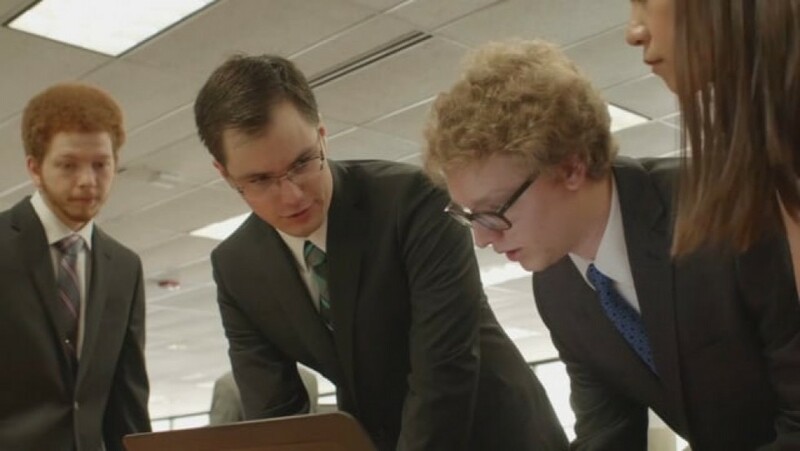 It's a way of life that our faculty, students, staff and alumni exhibit each day which inspires us to make an impact within our communities - it's the MSOE Mindset. 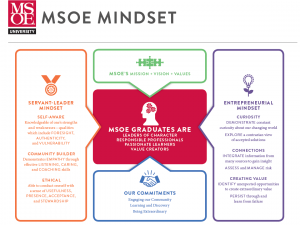 What is the MSOE Mindset? 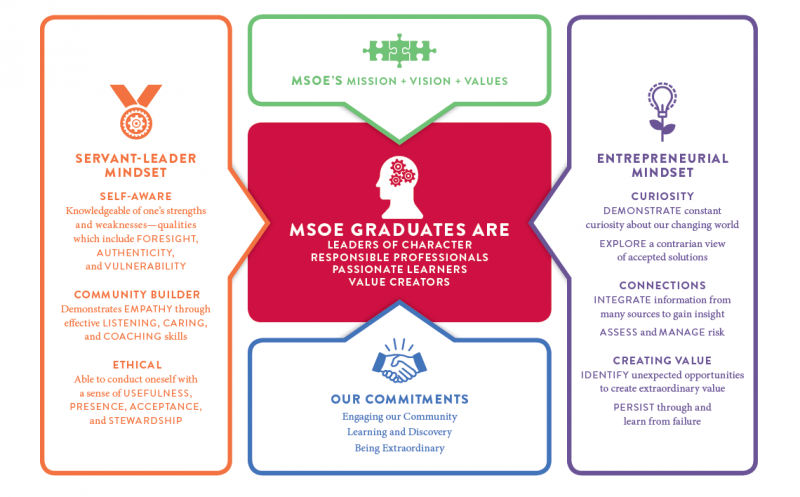 It is an assimilation of the Servant-Leader Mindset, the Entrepreneurial Mindset, and MSOE’s new strategic plan, mission, vision, values and commitments. 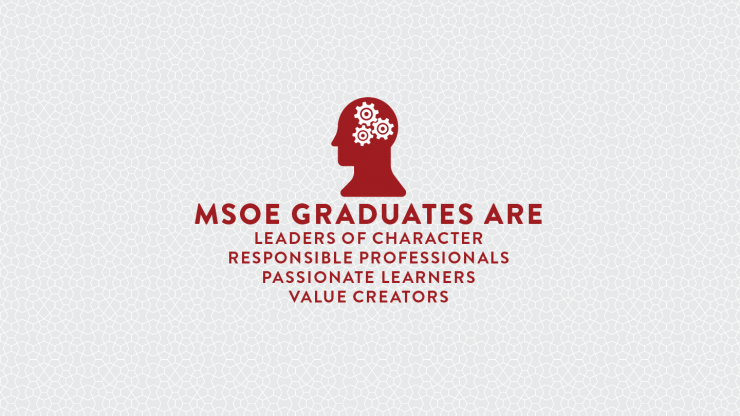 The MSOE Mindset identifies graduates as leaders of character; responsible professionals; passionate learners; and value creators. 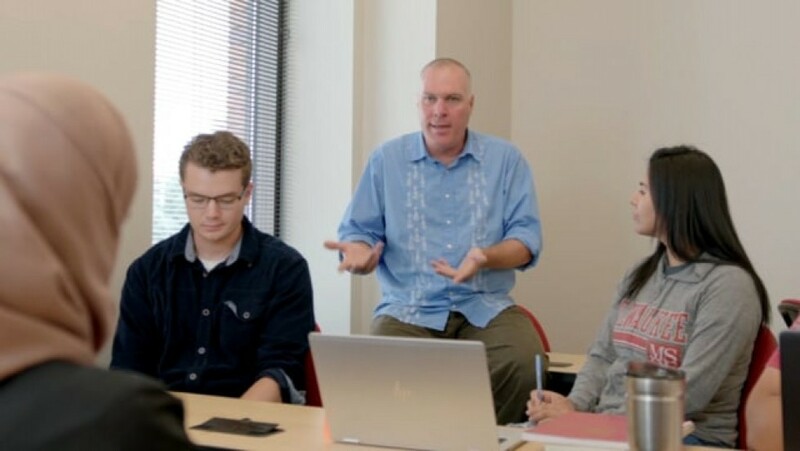 Faculty will focus on helping students develop the MSOE Mindset throughout their educational journey. 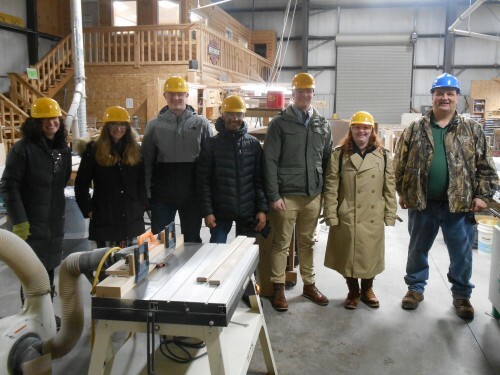 By leveraging its industry partnerships, incorporating high-impact educational practices throughout campus, enhancing educational programs to deepen experiential learning, MSOE will ensure that all students use real-world projects in their field of study. 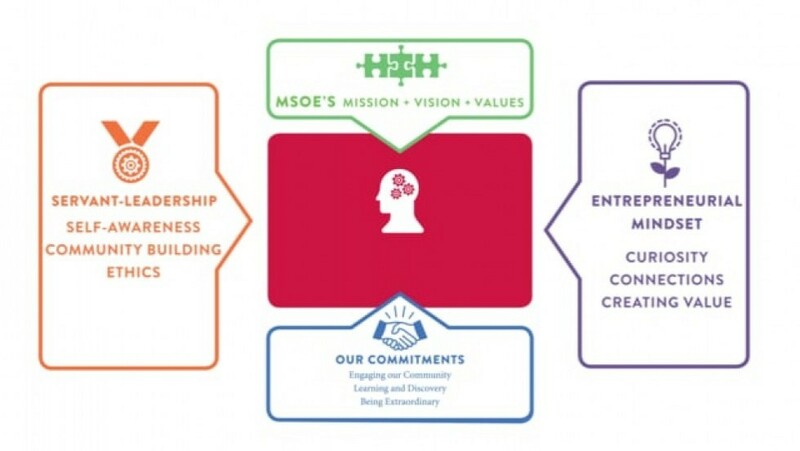 How are we living the MSOE Mindset? 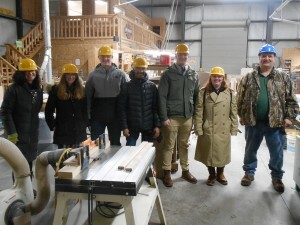 How Do We Live the MSOE Mindset? 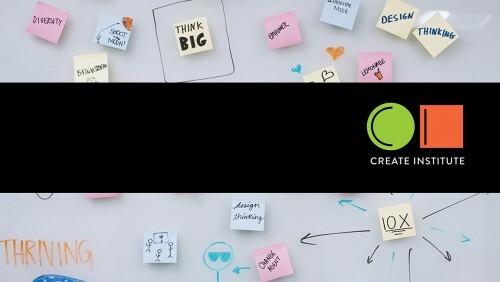 Project-based experiential learning is at the heart of the CREATE Institute, and how students will develop the skillset and mindset they need to solve the complex challenges of today and tomorrow. 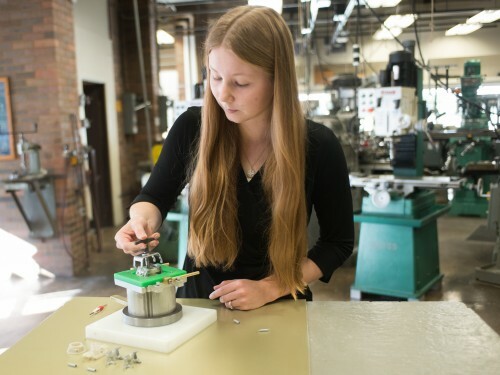 It is a resource for industry engagement and academic excellence. How Do You Live the #MSOEMindset? Share how you live the Mindset each day by using the hashtag #MSOEMindset on your favorite social media platform! 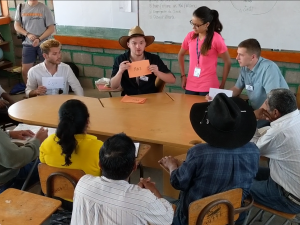 Have a longer format story or experience that you'd like to share? Use the form below.